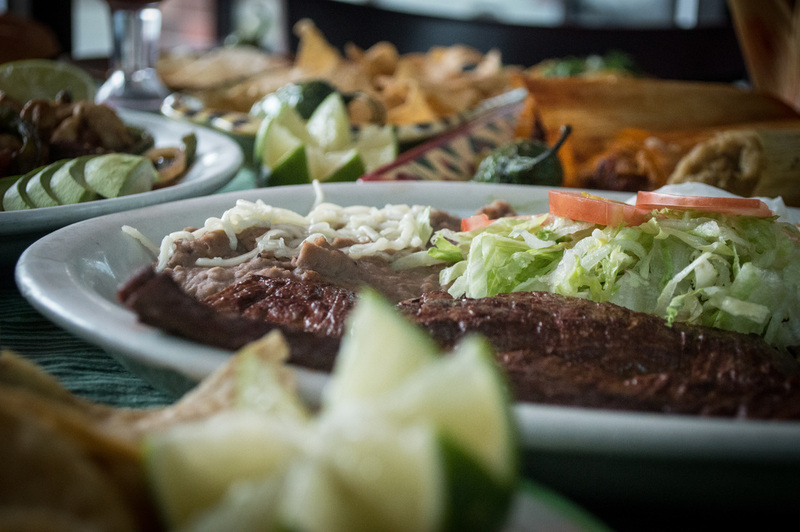 Tacos El Norte uses the freshest ingredients in all our dishes. 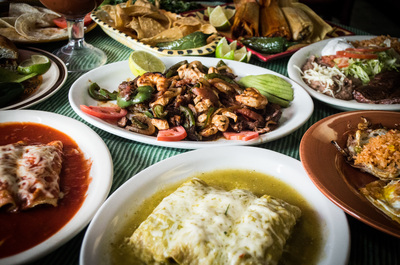 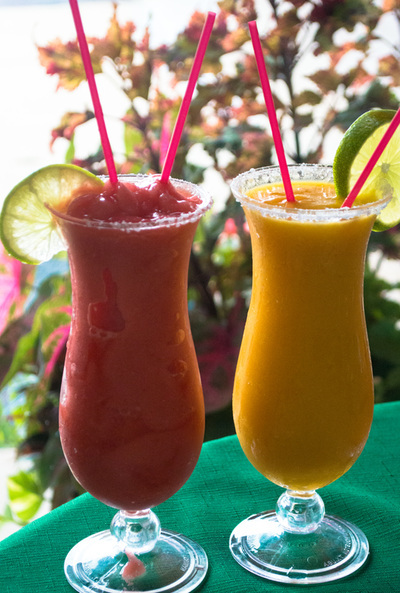 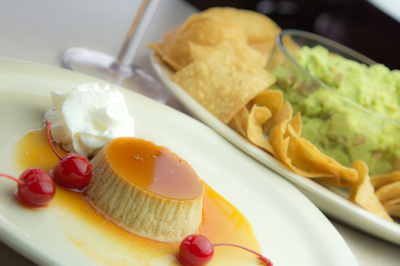 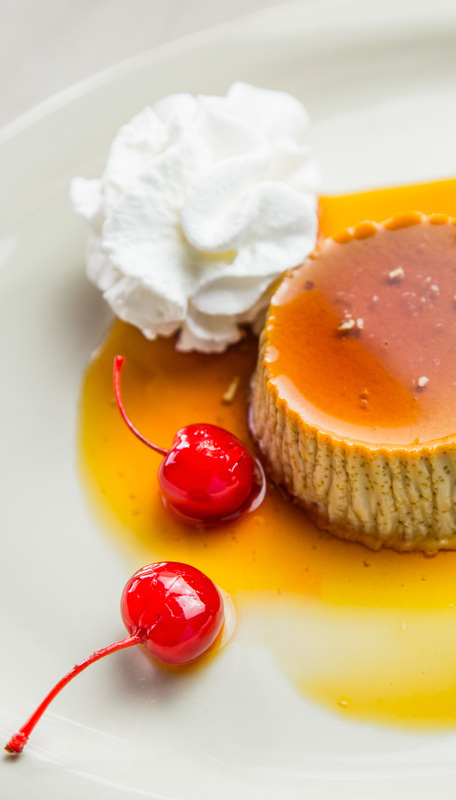 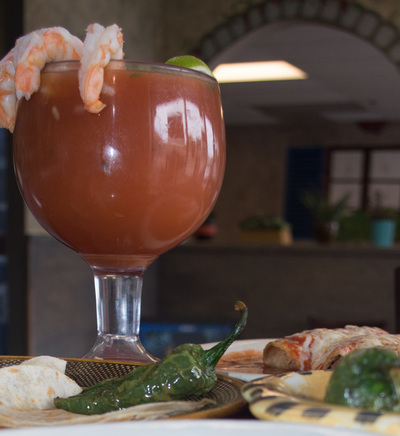 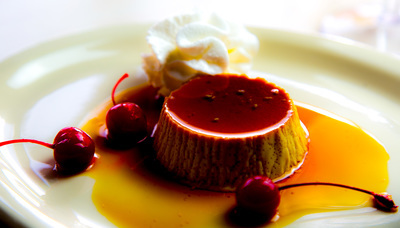 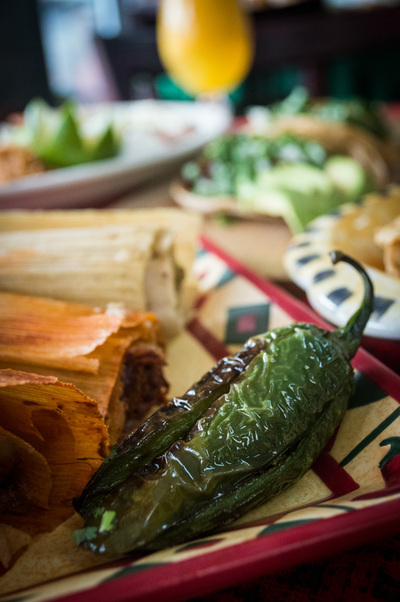 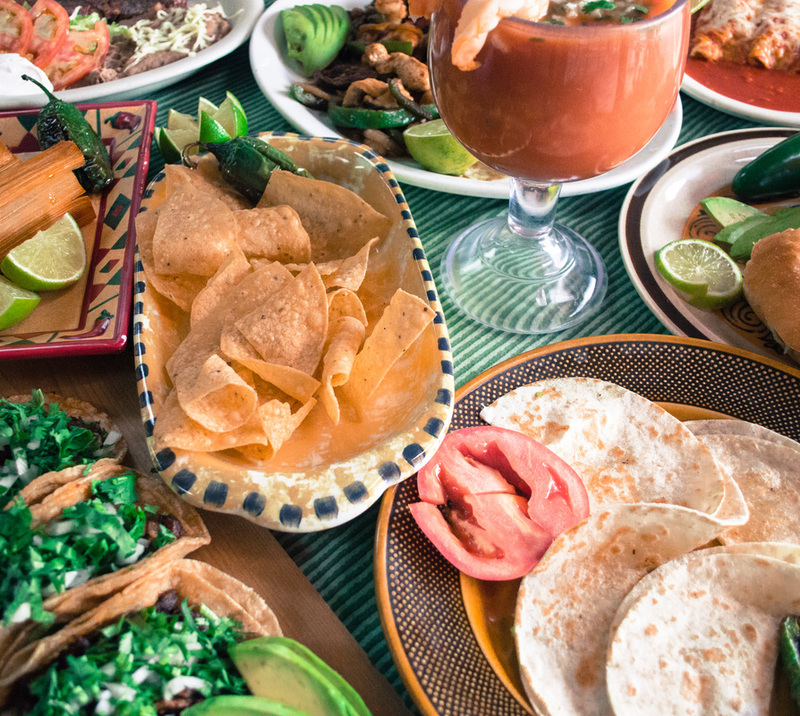 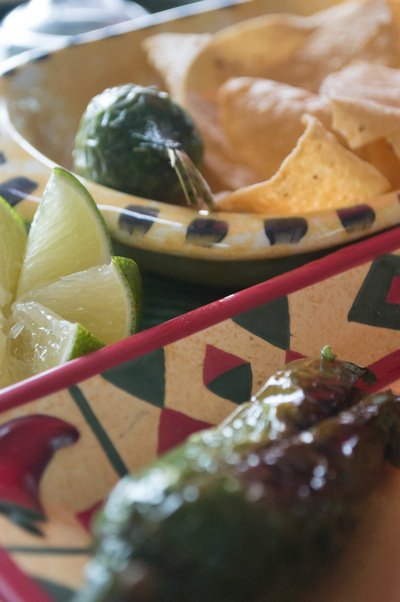 Our menu delivers tastes inspired by our families' roots in Mexico. 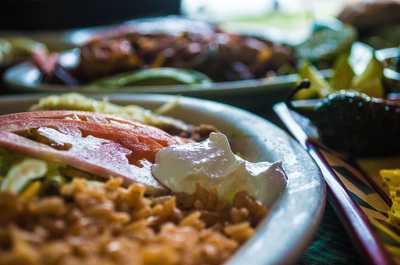 You will not find fresher or better tasting Mexican food anywhere in Highwood. 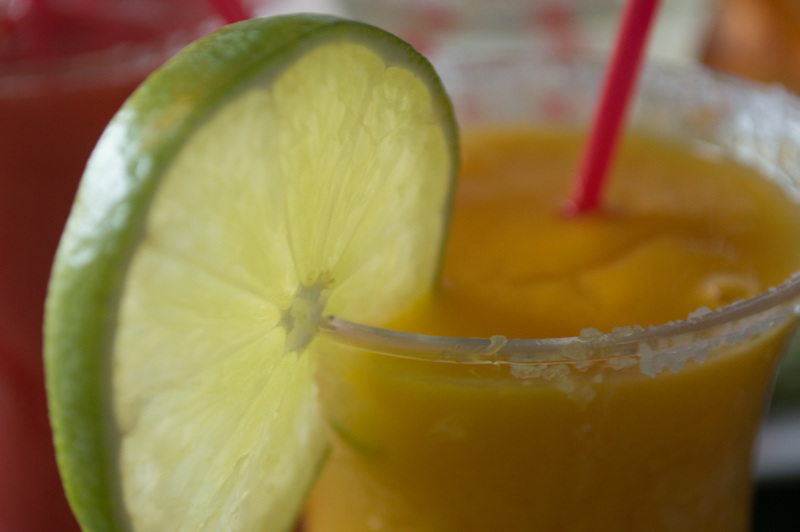 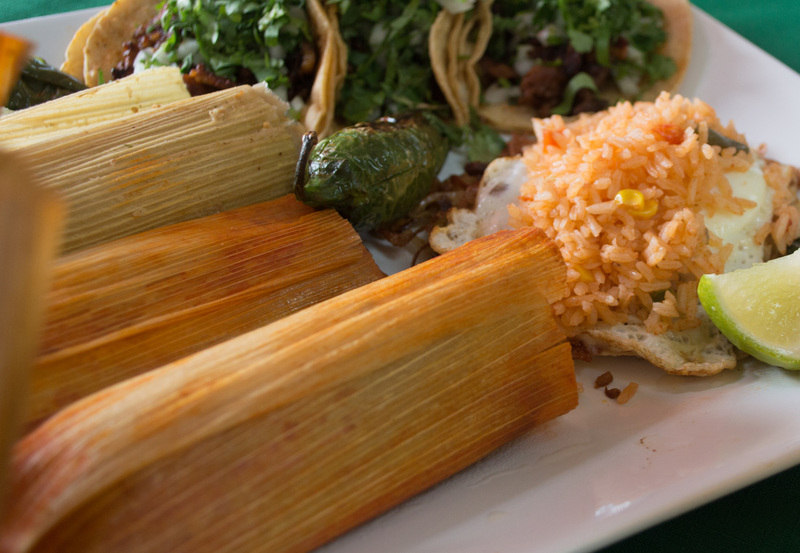 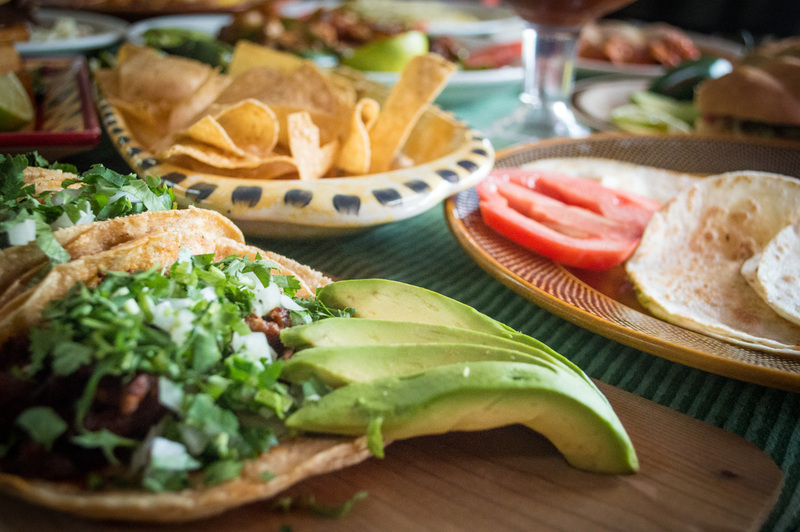 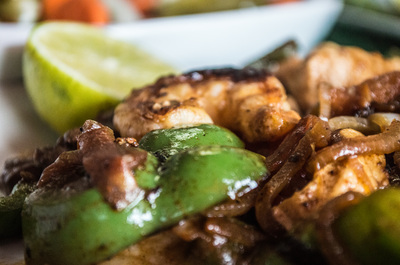 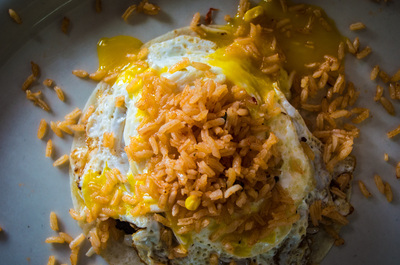 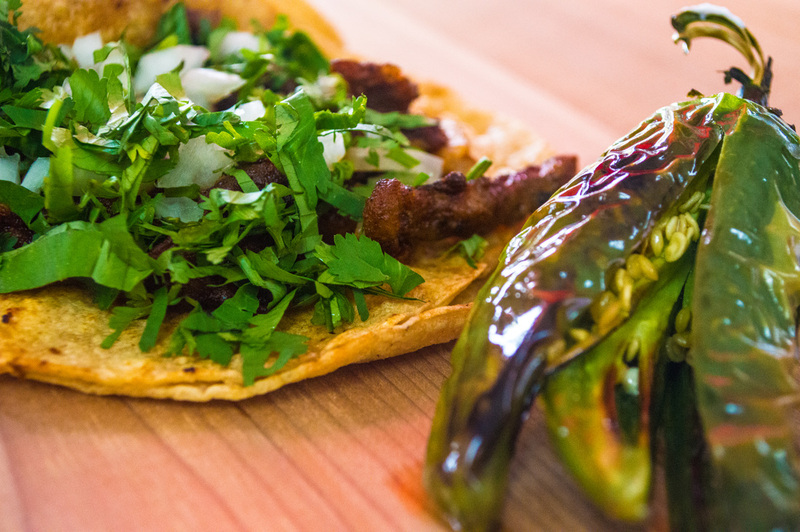 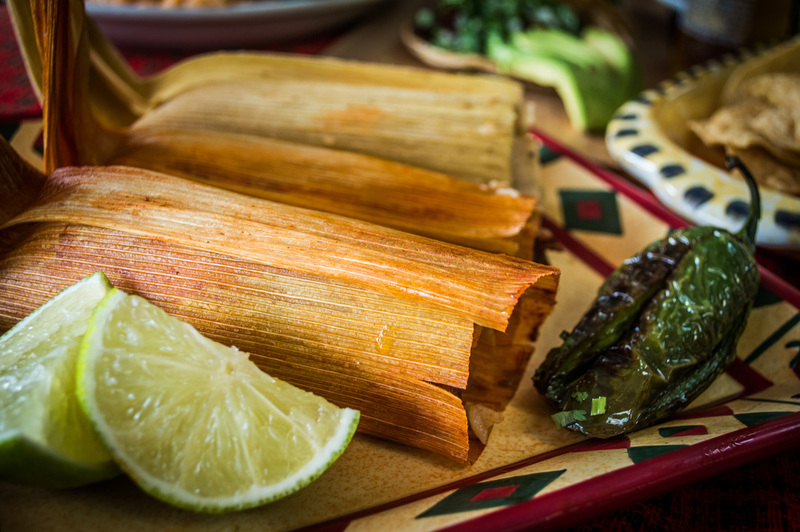 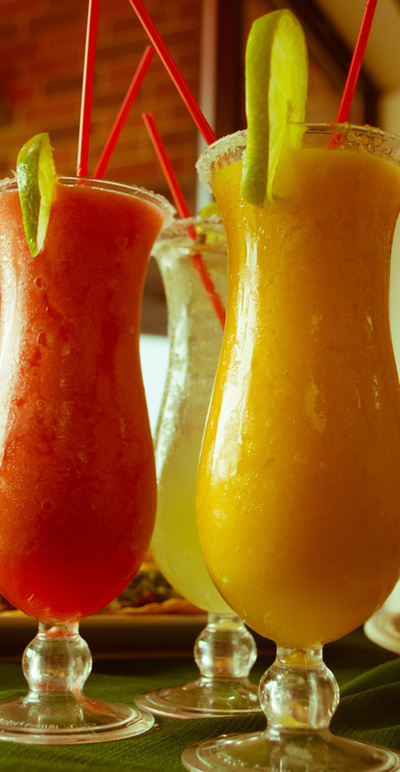 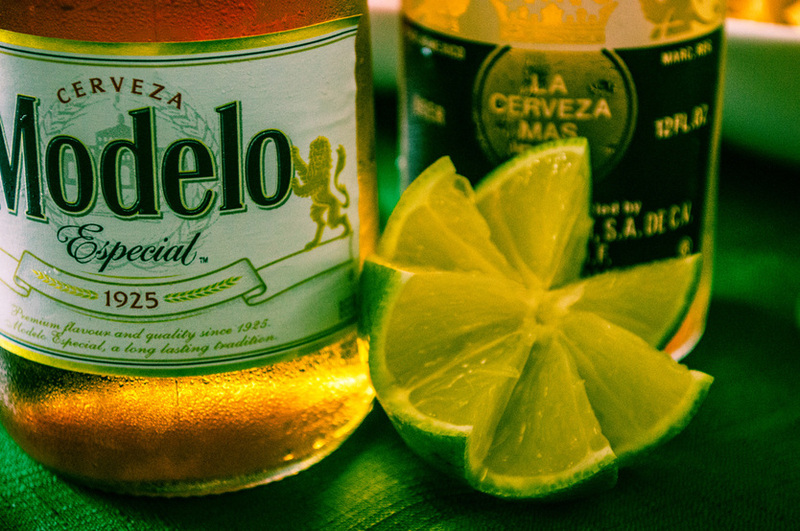 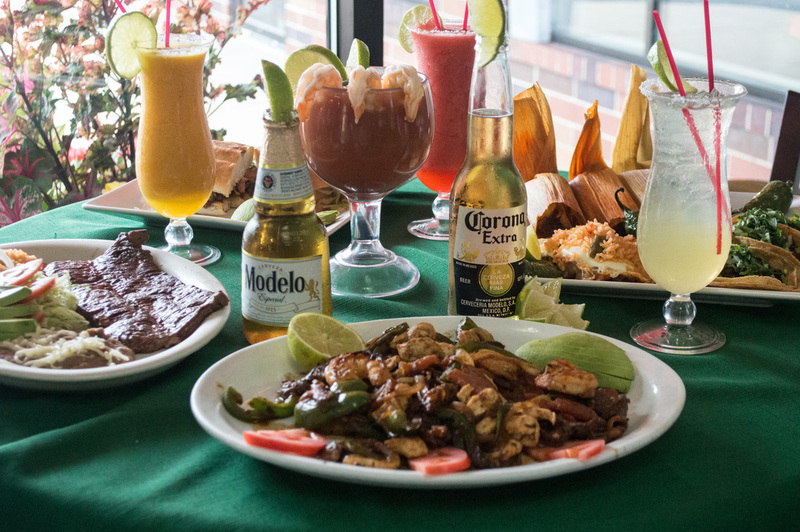 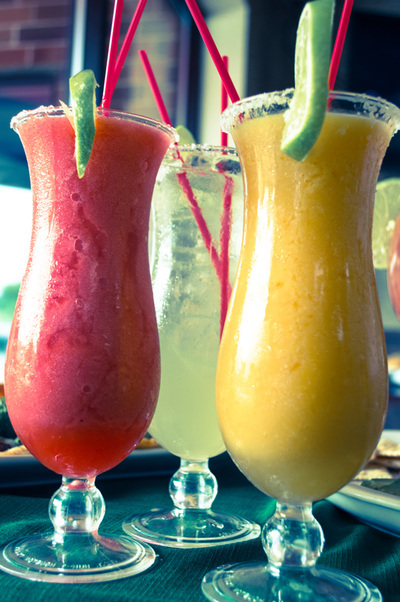 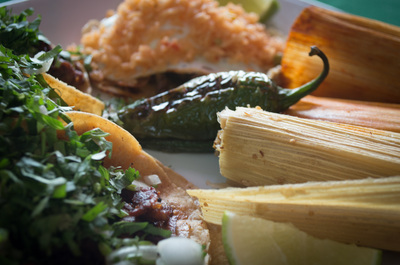 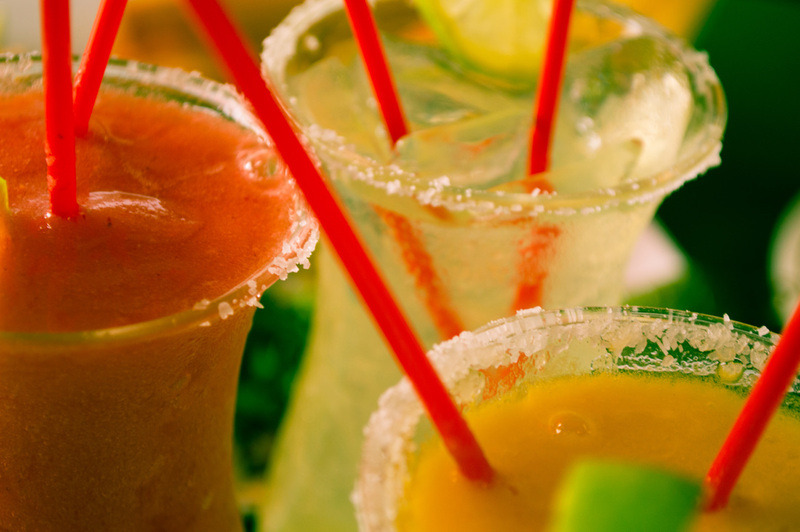 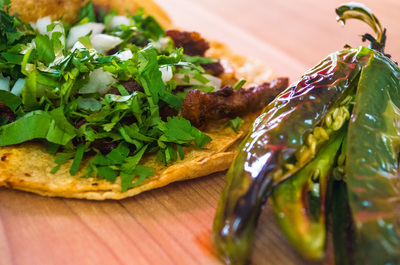 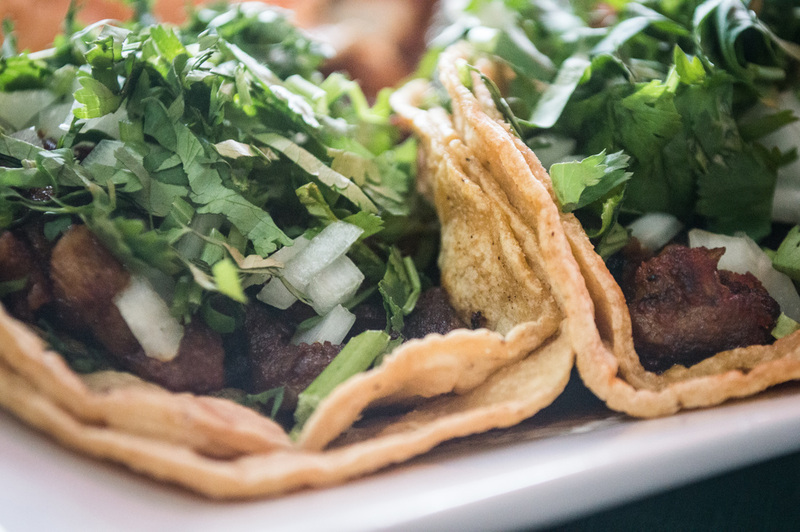 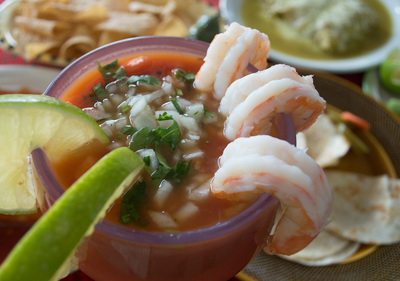 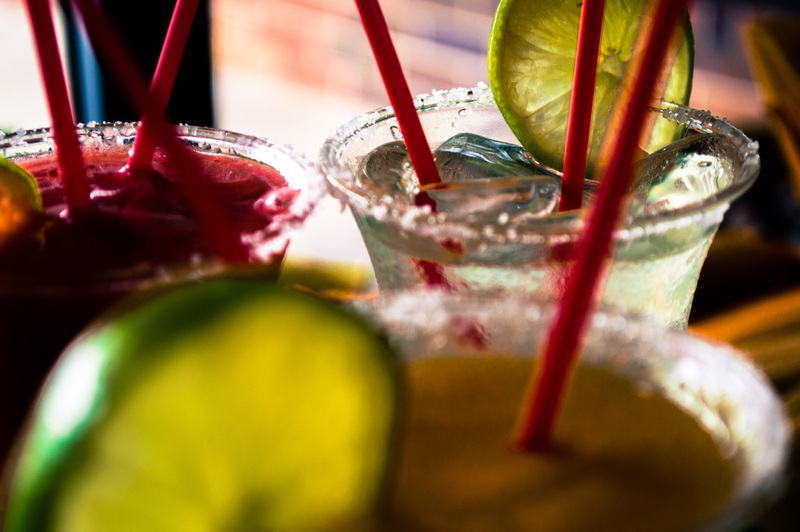 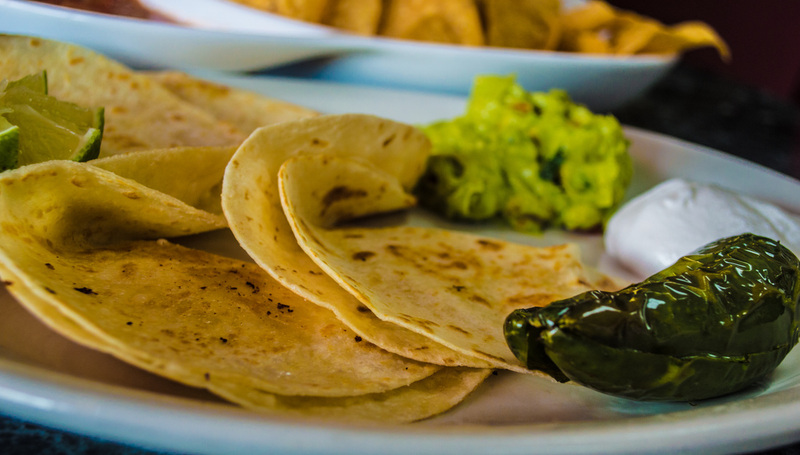 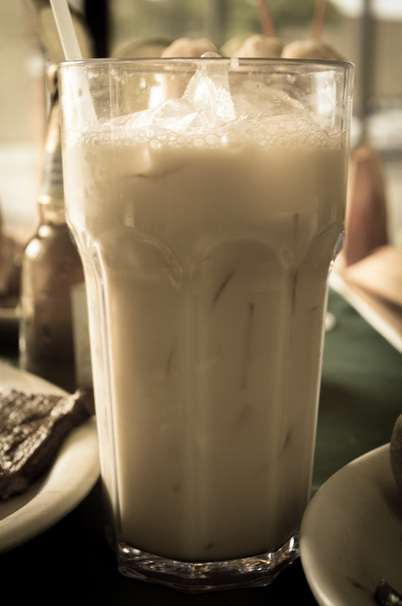 Tacos El Norte proudly serves traditional flavors to Highwood and the surrounding area. 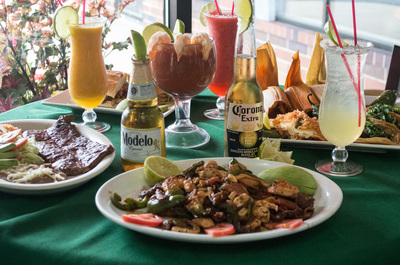 Please stop in and enjoy our food, atmosphere, music, drinks, and above all else family. 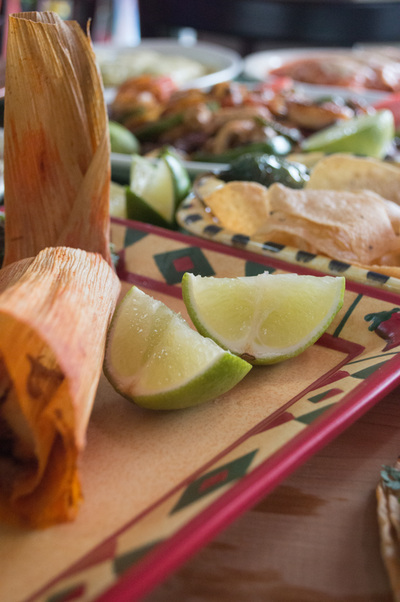 If you are looking for our catering menu please go to our catering page. 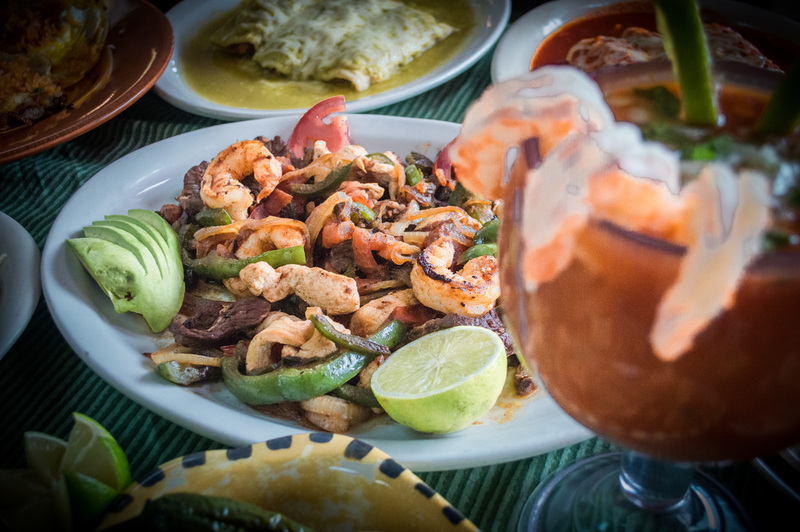 Served all day. 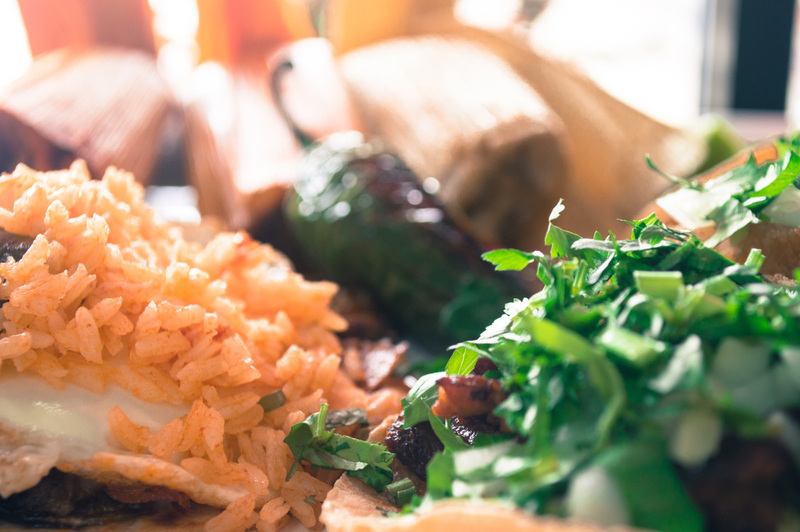 Includes rice, beans, and tortillas. 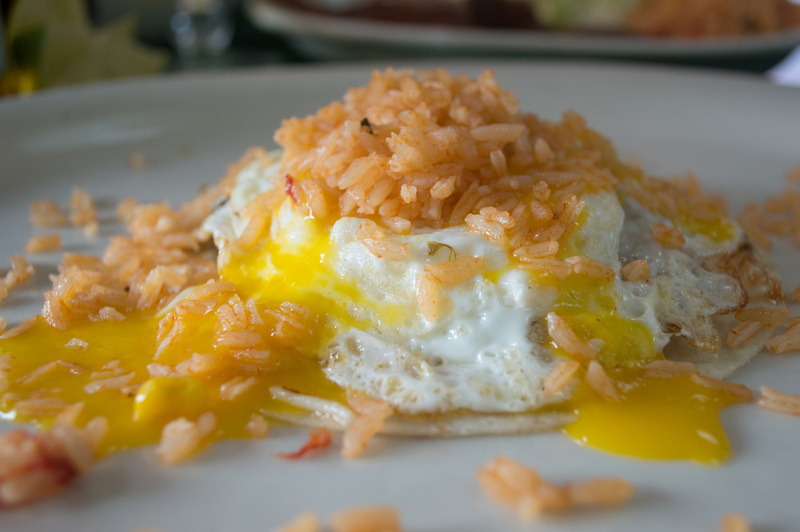 Consuming raw or undercooked meats, poultry, shellfish, or eggs may increase your risk of food born illness. 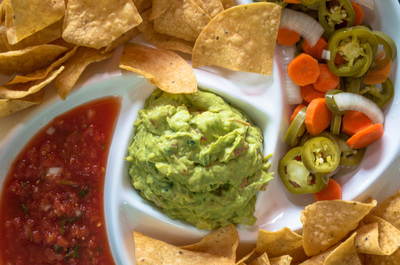 Includes chips, beans, cheese, lettuce, and tomato. Dinner includes rice and beans. 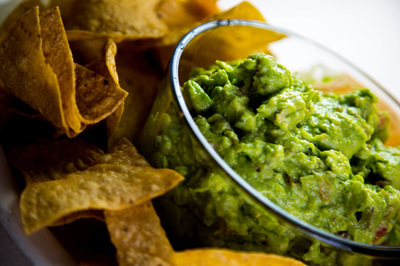 Lettuce, tomato, cheese, guacamole, sour creams and chips. 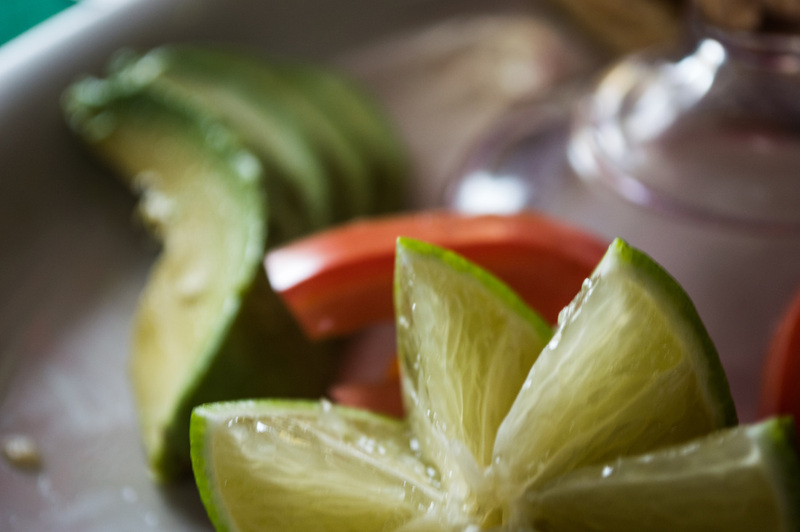 Lettuce, tomato, cilantro, sliced green pepper, and lime for dressing. 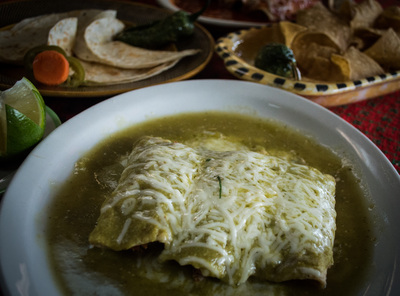 All soups served with warm flour or corn tortillas, lime, onion, and cilantro. TORPEDO TACO - Flour tortilla only, grilled cheese, grilled onion, steak, egg over east and a little rice. 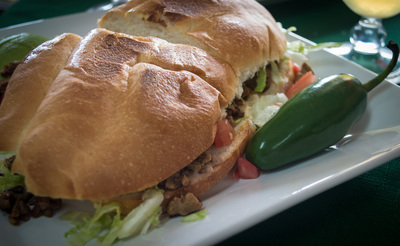 Comes with lettuce, tomato, cheese and beans. 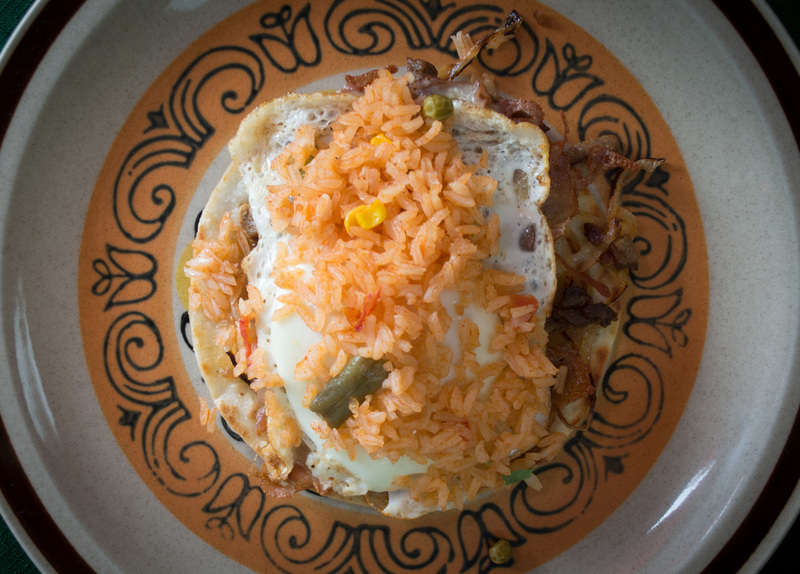 TORPEDO BURRITO - Comes with grilled cheese, grilled onions, steak, egg over easy and a little rice. 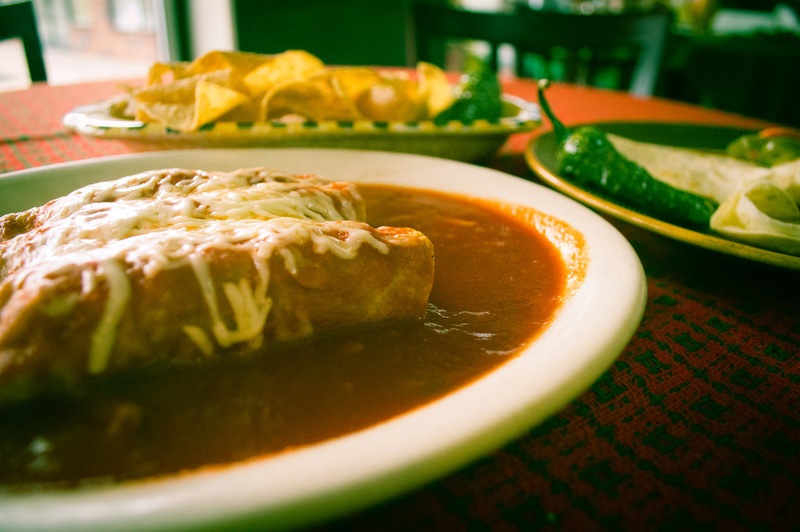 BURRITO SUIZO - Comes with sour cream and guacamole topped with our ranchero sauce and melted cheese. BURRITO DINNER - Chicken, ground beef, BBQ pork, avocado, or Mexican sausage. 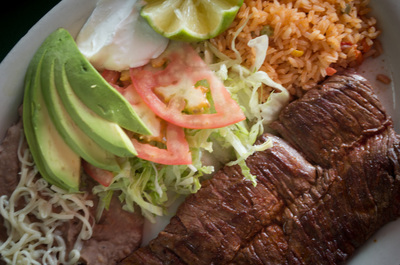 Served with rice and beans. SOPES - A thick open faced soft corn shell. 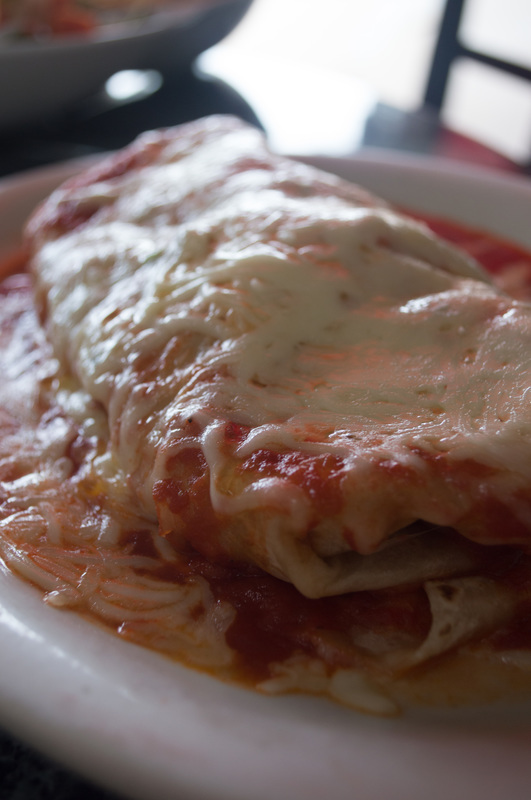 Topped with beans lettuce, tomato, sour cream and cheese. GORDITAS - A stuffed thick corn tortilla. With lettuce, tomato, sour cream, cheese and your choice of meat and beans. TOSTADA - Opened faced hard corn shell. Topped with beans, lettuce, tomato, sour cream and cheese. TORTA - A Mexican sandwich served on toasted bread. 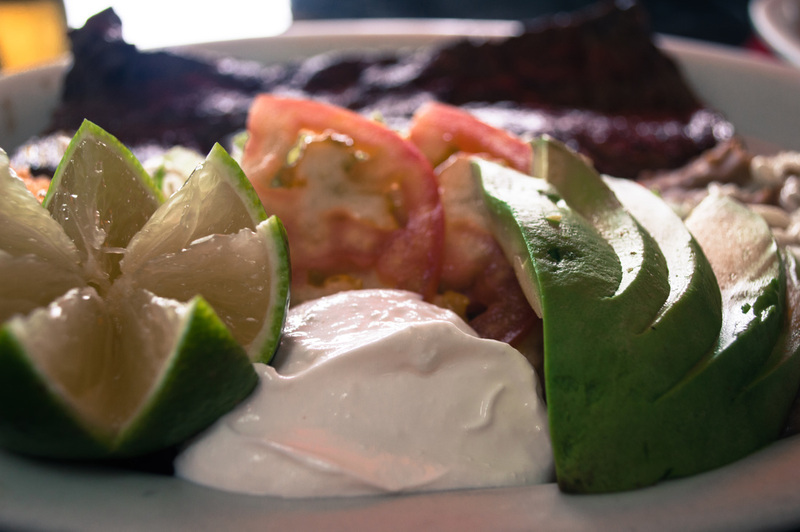 Includes lettuce, tomato, sour cream, cheese and beans. Made with sauteed onion, tomato, and bell peppers. 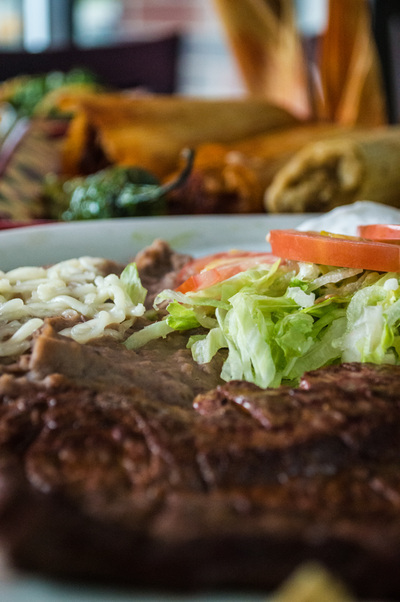 ​Served with mexican rice, refried beans, warm tortillas, lettuce, tomato, and sour cream. 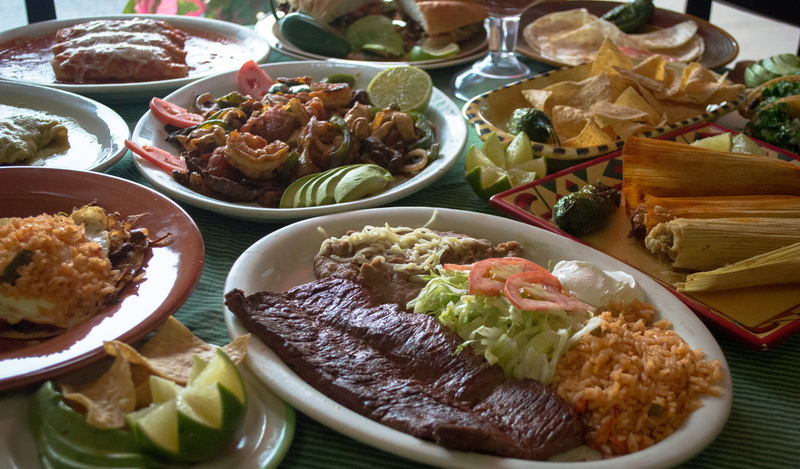 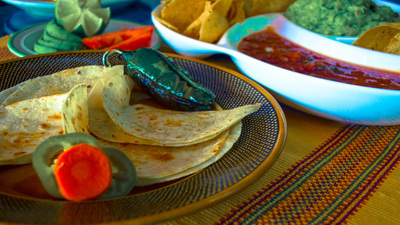 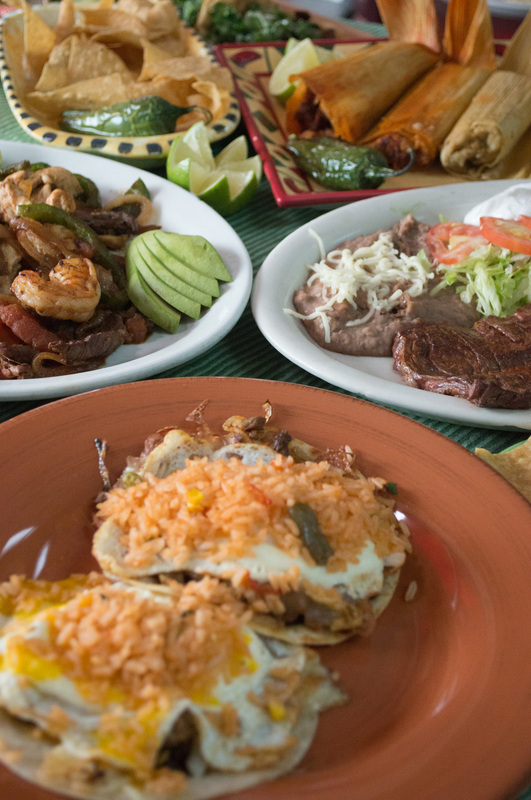 All plates served with rice, beans, salad, and warm flour or corn tortillas. 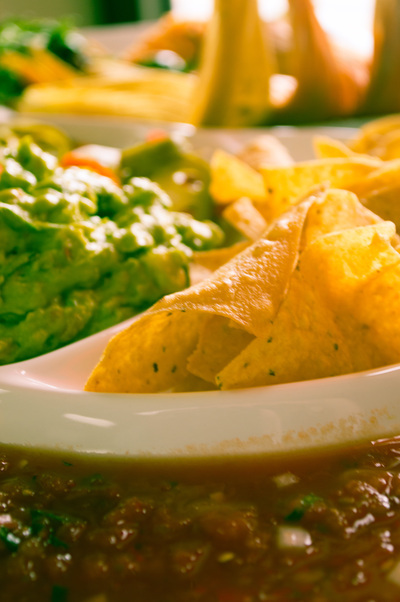 ​Complementary chips and salsa for dine in orders only. To Go orders do not include chips and salsa. COMBINATION - Includes one taco, one enchilada and choice of a tamale or quesadilla. CARNE ASADA AND CAMARONES - With skirt steak and 4 wild Mexican shrimp. BISTEC RANCHERO - A skirt steak with ranchero sauce and cheese on top. 1/2 CARNE ASADA AND CHILE RELLENOS COMBO - 1/2 skirt steak, one chile relleno, rice, beans and tortillas. 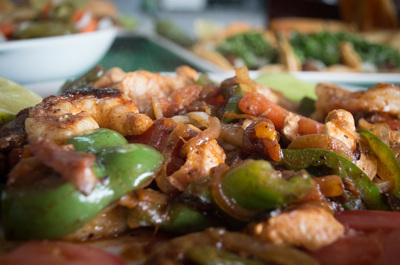 ALAMBRE - Steak and chicken sauteed with pineapple, green pepper, tomato, and onion. 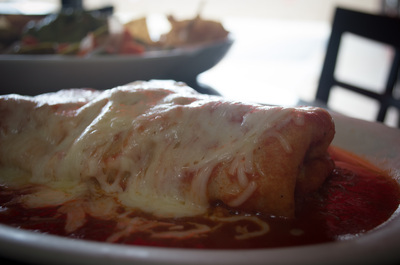 Topped with melted cheese.